Air purifiers AirgoClean 105 S and AirgoClean 205 S allow you to create a safe and clean air environment in the living room and office. 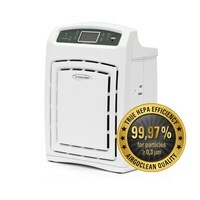 The air purifier of the Airgoclean comfort series filter allergens, such as pollen, pet hairs and mould spores, bacteria, fine dust, furniture and wallpaper effluvia, toner from copiers and printers or cigarette smoke. 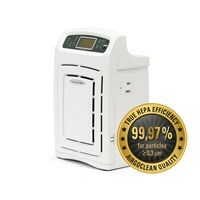 AirgoClean air purifier removed 99,97 % of all common air pollutants even up to a size of 0.3 microns through activated carbon True HEPA filter combination. 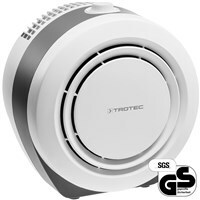 In addition, the air cleaner have a built-in sensor for dust and voc emissions, so that an energy-saving mode ist automatic enabled.